It’s a struggle we all face from time to time: you’re invited to a wedding, but everything on their registry just seems... dull. Surely there’s something better out there – something that will stand the test of time and be enjoyed for years to come. Surely, you’re right! 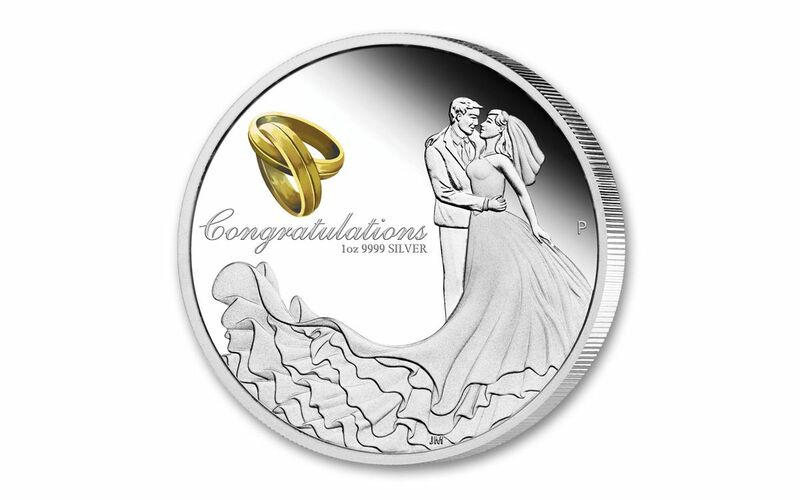 Try this Silver Wedding Proof from Australia’s Perth Mint. 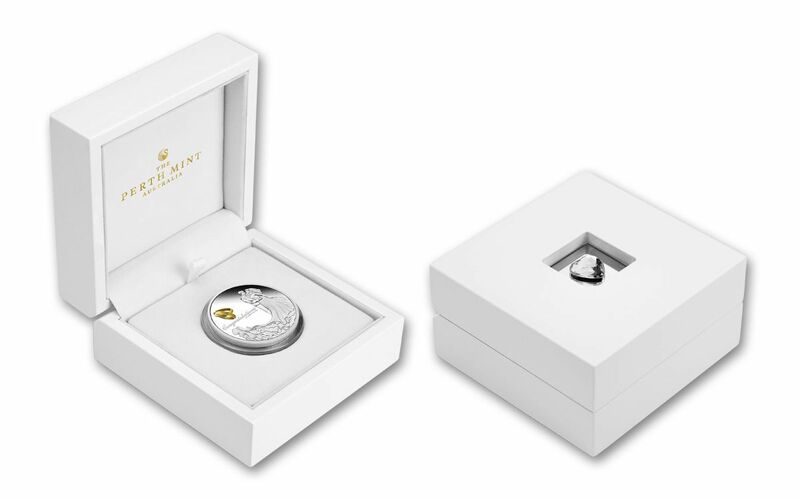 The latest in the Mint’s annual Silver Wedding Series, each of these proofs begins as a hand-selected planchet of 99.99% pure silver. Struck multiple times by polished dies, Jennifer McKenna's graceful design of a bride and groom behind a flowing train of lace is realized in razor-sharp precision against a mirrored field. Joining the newlyweds is a colorized symbol of two intertwined gold wedding bands. 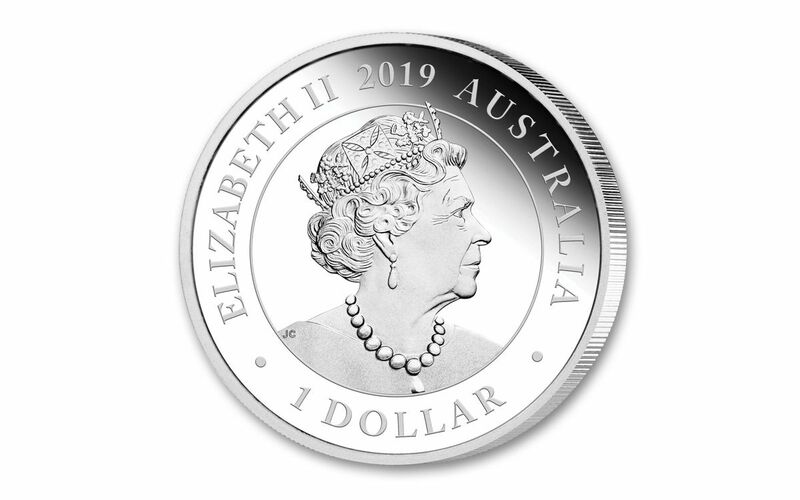 Turn this one-dollar Australia legal-tender coin over, and you'll find Ian Rank-Broadley's profile of Her Majesty Queen Elizabeth II. Just like the bride and groom themselves, this silver proof is the center of what is a larger, more beautiful story. 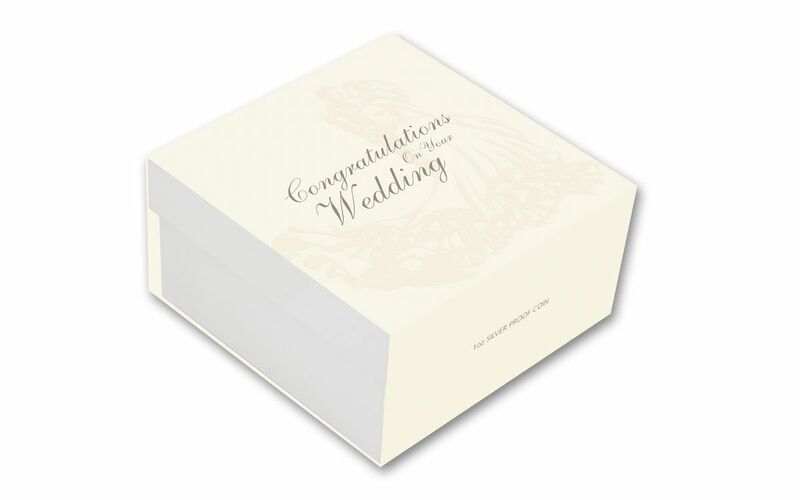 Each proof comes cradled in a glossy white box with the Perth Mint logo embossed inside the upper lid. Close the case, and you'll find a solitary heart-shaped crystal positioned gracefully just under the surface. All of it is contained in a lushly illustrated shipping box along with a certificate of authenticity. Finding a great gift for a soon-to-be-wed couple, especially one that isn't telegraphed by a registry selection, can be its own adventure. Rest assured, this gift of high-purity silver combined with a graceful design is one that will be kept close along with the day's treasured memories. Don't let the next special day in your life arrive without this astounding gift. It’s the perfect gift. Order yours now! LATEST COIN IN AUSTRALIA’S WEDDING SERIES – The Perth Mint’s Wedding Series is one of the world’s most popular annual coin releases and features the same design of a bride and groom along with a pair of colorized intertwined gold wedding bands. The coin’s obverse features the portrait of Queen Elizabeth II. STRUCK IN HIGHLY-PURE SILVER – Each Silver Wedding coin is struck in a Troy ounce of 99.99% silver. LEGAL TENDER IN AUSTRALIA – These Silver wedding coins are $1 legal tender in Australia. 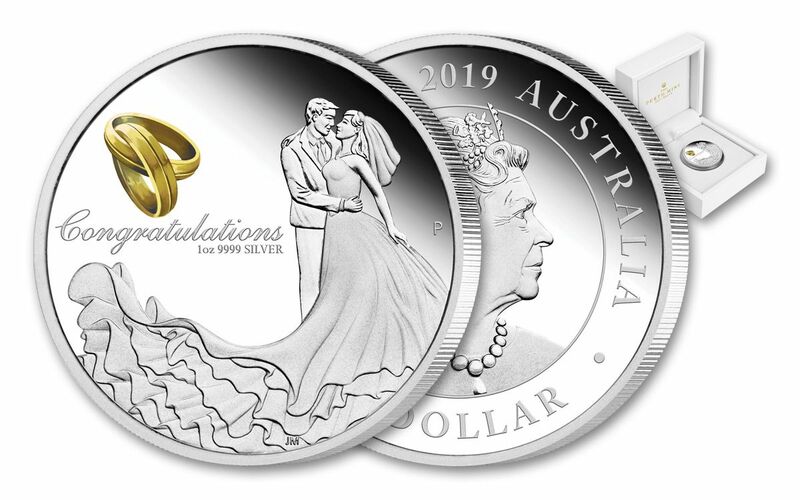 GORGEOUS PROOF CONDITION – Your 2019 Australia One-Ounce Silver Wedding Coin comes in gorgeous proof condition, meaning it was expertly crafted by the mint from hand-selected planchets, polished dies and multiple strikes to produce beautifully frosted details rising over mirror-like fields. Rest assured, this gift of high-purity silver combined with a graceful design is one that will be kept close along with the day's treasured memories. Don't let the next special day in your life arrive without this astounding gift. Click one to your cart now!